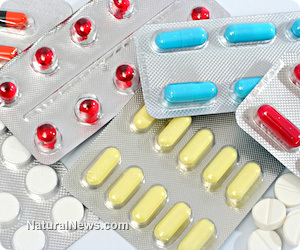 (NaturalNews) The makers of generic drugs are vigorously opposing a new proposed rule by the Food and Drug Administration which would mandate that they change prescribing information on their products if they obtain new safety information, a change they claim would subject them to product liability lawsuits. The Food and Drug Administration, which issued its proposal in November, said the change is designed to "create parity" between branded and generic drug makers with respect to labeling changes, and remove an unnecessary impediment to the prompt communication of safety data. "Disregarding decades of regulatory stability in this way will create unwarranted confusion, raises patient safety concerns and threatens the system that created thousands of affordable options for consumers," Gordon Johnston, a former deputy director of the FDA's generic drugs division and currently an industry consultant, said in a statement. Equally important, say some, is that the change could make generic drugmakers even more vulnerable to product liability suits than they currently are. "The Generic Pharmaceutical Association cannot support a proposed rule that undermines public health merely to facilitate litigation against generic drug companies by the plaintiffs' bar," the association said in a position paper in February. A congressional subcommittee, the House Energy and Commerce Committee's health panel, heard testimony regarding the proposed changes during a hearing on March 3. In 1984, lawmakers passed, and President Ronald Reagan signed, the Hatch-Waxman Act, in an effort to speed up the approval of generic drugs, which are much cheaper than name brands. Since then, the industry has exploded; today, Reuters reports, generic drugs make up 80 percent of all prescriptions filled in the U.S.
And since generic drugs are made to essentially act the same as brand-name drugs, the FDA has historically forbidden generic manufacturers from making changes to their product labels independent of the drug developer. In 2011, after years of legal wrangling, the Supreme Court ruled that the FDA's prohibition on label changes meant generic drugmakers should not be held accountable for a failure to warn against risk. As a result, consumers taking a brand name drug can have legal recourse if they are injured by a drug, but those taking a generic effectively do not. The FDA's proposal would remove that protection and place equal responsibility for monitoring drug safety on the brand company and the generic manufacturers. If you are a fan of labeling, this proposed rule change, then, should be welcomed. In fact, according to supporters, the proposed rule is necessary because there are about 2,000 generic drugs on the market -- about 45 percent of all generics sold -- for which no branded counterpart is currently being produced. "If generic manufacturers are not actively monitoring and proposing safety updates, no manufacturer is doing so at all," said Allison Zieve, general counsel at consumer watchdog Public Citizen, in testimony to be delivered to the House panel. "As generic market share increases, the brand-name manufacturer loses incentive to devote resources to post-approval safety monitoring." Her organization filed a petition in 2011 asking the FDA to allow generic drug manufacturers to change their product labeling via procedures that are currently available to brand-name makers. "This proposal will help ensure that health care professionals and consumers have access to the latest safety information for the medications they use," said Janet Woodcock, M.D., director of the FDA's Center for Drug Evaluation and Research, in a press release. "More than 80 percent of prescriptions filled in the U.S. are for generics, so we want to make sure that generic drug companies actively participate with the FDA to ensure that product safety information is accurate and up to date."